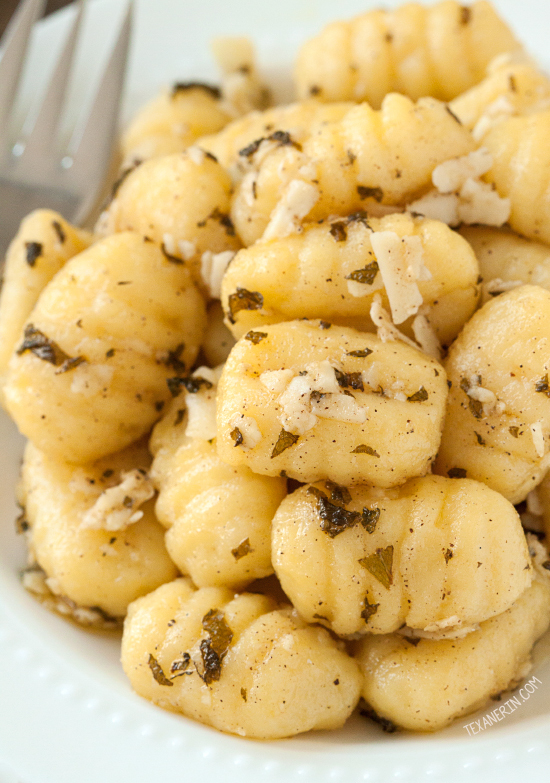 This 5 ingredient browned butter and sage lemon gnocchi couldn’t be any easier! A perfect main or side dish. 1. Prepare the gnocchi according to the package's instructions. 2. Melt the butter in a medium saucepan over medium-high heat. Add the sage and cook until the butter starts to turn brown and smells slightly nutty. Be careful that it doesn't burn. 3. Turn the heat down to medium and add 1 tablespoon lemon juice. Add the gnocchi, stir them a little in the sauce, and then add 2 tablespoons of cheese. Add salt to taste, and more lemon juice and cheese, if desired.